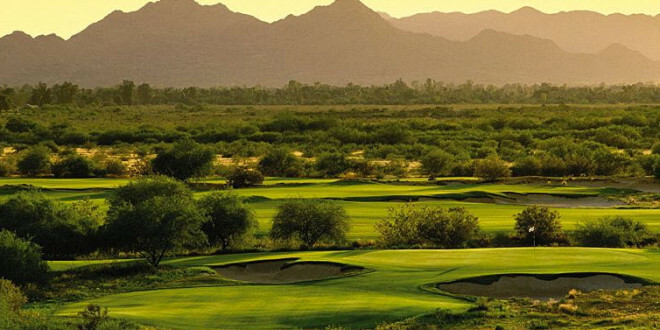 Desert Canyon Golf Club is a championship desert design that is located in Fountain Hills, AZ just 20 minutes east of the city of Scottsdale. 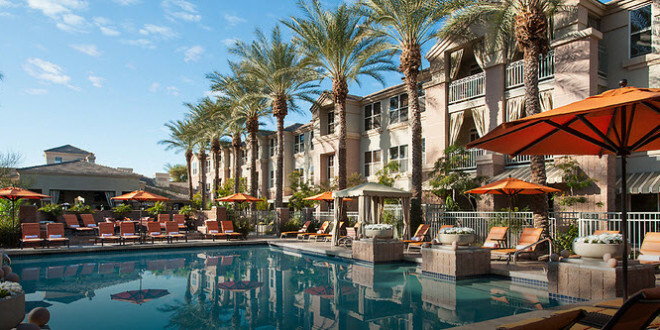 Fountain Hills is known for its open untouched desert and surrounding mountain ranges. Desert Canyon features elevated tees with a mix of elevation changes. The fairways at Desert Canyon do play open at times; however, tighten up at times as well making accuracy a necessity. Beware of blind tee shots at times. Some of the most amazing backdrop scenery may be viewed from any angle of the golf course. Deep canyons and tall mountains surround this Arizona golf course. 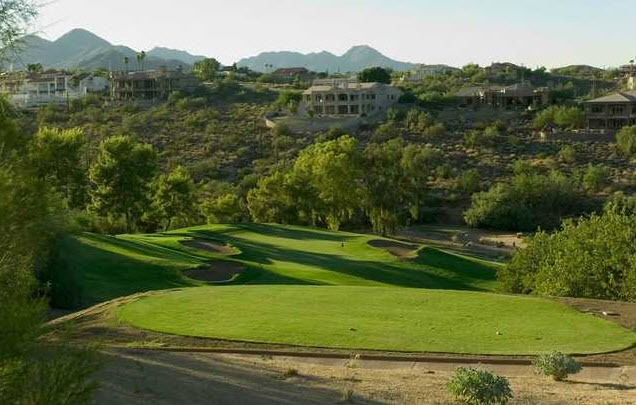 Desert Canyon Golf Club in Fountain Hills offers some of the best scenery of any of the courses in the area. The mountain setting provides the layout with elevated tee and green complexes with stunning mountain backdrops. The narrow fairways are lined with palms and native trees, winding along high desert barrancas and arroyos. Judging your distance can be difficult from the lofty tees and the fairways demand accuracy. Desert Canyon’s large greens don’t have too much undulation but they tend to slope away from the mountains. The 13th is one of the toughest holes on the golf course. This par 3 has an extremely elevated green complex that will require an extra club or two. There is a bit of room short and long left, but be sure to avoid going to the right or you’re in for some trouble. Love this golf course, I shot a 78 one hot day in summer.